So what’s going on in the world of iPhone repairs? Then how do you even begin to combat insane iPhone repair costs? 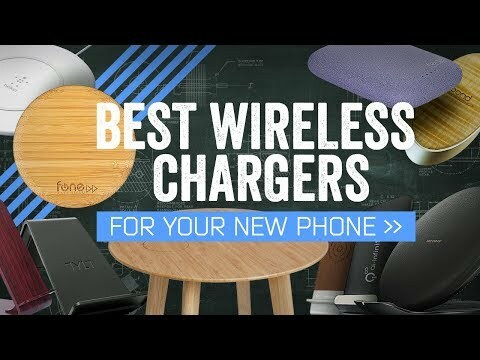 As the video shows, sleek wireless charger options are waiting to be chosen now! If you’re one of the many loyal iPhone devotees dodging traffic to get your mocha latte on before you have to solve all the world’s problems, still somehow manage to pay rent, while not watching cartoons in the middle of the week, read on. If you’re not sold on the whole “wait, hold up, hovering air is making my battery charge right now?!?!?!?!?!?!?! ?” just know that I had the exact same semi-panic attack before realizing how much I love throwing microwaved popcorn at my enemies. Maybe we should just let doubts go to rest this time around? So how do wireless iPhone chargers work? Anyway, with the new iPhone X and iPhone 8 models falling into the mix, Apple has become the hottest commodity for third parties looking to bankroll accessories. The more problems accessory designers solve, the less iPhone Repairs and Upgrades we get to dread while trying to find an AirBNB which will “allow iPhones.” It’s ten times easier to find an AirBNB which “allows dogs” so maybe AirBNB just hasn’t gotten the memo that not all iPhone chargers are built equal. Who knows? If wireless chargers are so hot right now, what would be the best brand to replace my wired iPhone charger with? Although, there are some main competitors to be on the lookout for. Qi wireless chargers tend to dominate the market. They’ve managed to kick up a backlash of major beef with a company named Powermat by getting Apple to hop on the Qi train, and based on how their products look they deserve to be kicking screens and taking digits. iPhone Repairs will never include chargers again. Until they do…but in the meantime, you’ll definitely have less issues with your brand new iPhone X or iPhone 8 if you just go pick up a Qi wireless charger! COMMENT BELOW WITH A FUNNY IPHONE CHARGER STORY OR JUST TO SAY HI!